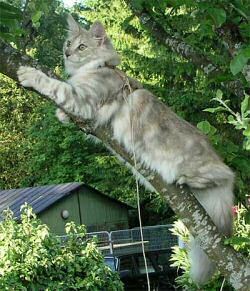 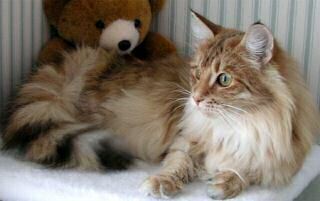 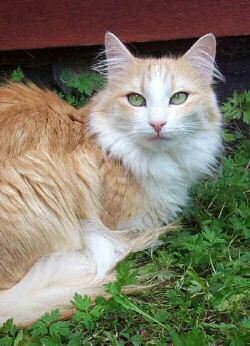 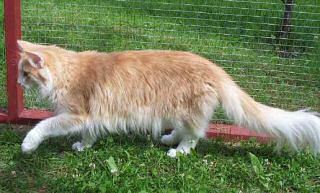 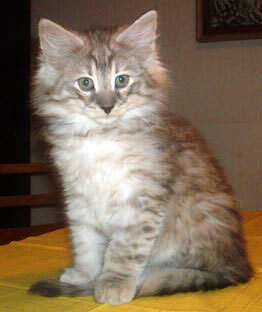 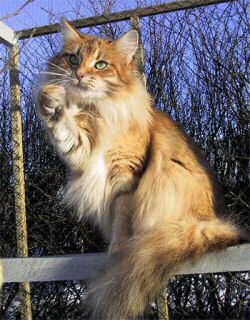 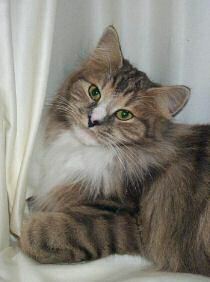 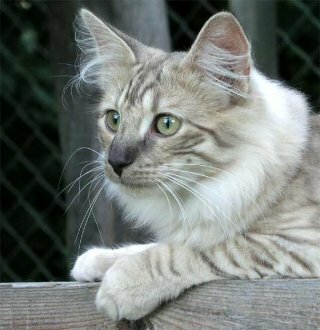 Amber is a colour that is unique for Norwegian Forest Cat. 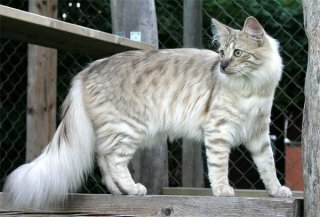 The colour is not validated for any other breed. 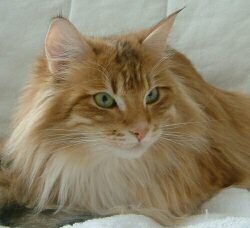 Amber and lightamber is registered with the EMS code t as addition to the basic colour. 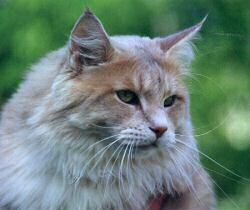 A cat with the colour amber has the basic colour black and lightamber has the basic colour blue. 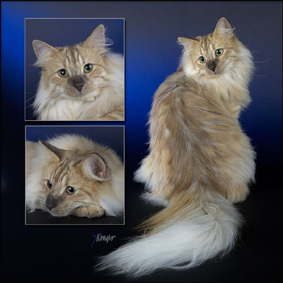 The amber cats are shown in the same colour group that the basic colour, see the table below for examples. 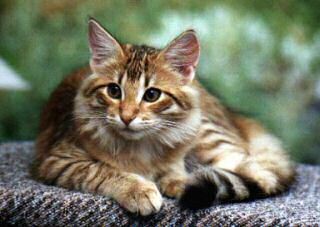 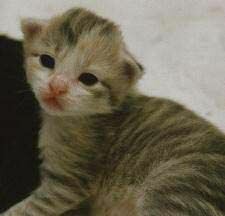 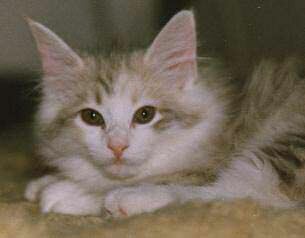 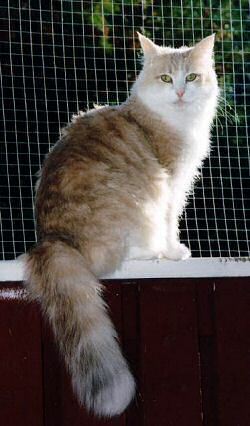 The first amber cat was born in 1992, but then nobody knew which colour that the cat had. 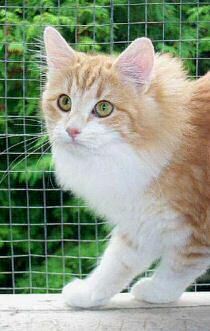 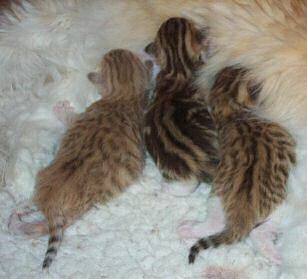 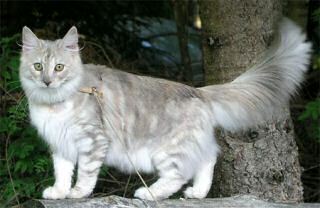 After a lot of research, one came to the conclusion that it was an unique colour for Norwegian Forest Cats and from the year 2005 they are registered with the EMS code t. It means that you in some pedigrees can see cats that are registered with other EMS codes, for instance the code y for golden, although the cat has the colour amber. 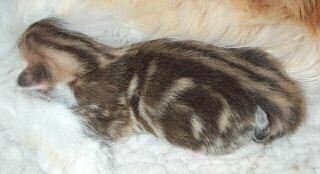 Now however, amber- and ligthamber cats should always be registered with the EMS code t.
The pictures below shows the same cat as a kitten, 10 weeks old respectively as an adult. 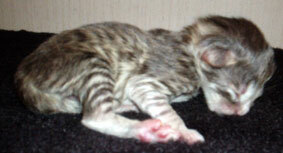 Pictures of the same litter, 8 days respectively 7 weeks old. 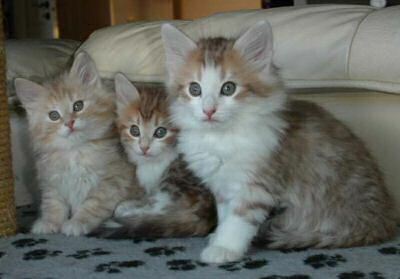 The colours are nt 24, nt 22 09 and nt 24 09.